Tecnoinox Tecno60 Modular Cooking LineTecno60 is a modular cooking line combining high performances with space savingCatalogue Tecnoinox Tecno70 is a heavy-duty modular cooking line suitable for Medium Size professional kitchens. The 2mm thick worktop is designed to withstand heavy usage. The Appliances are modular and can be supplied on a range of base options, ambient, refrigerated or heated. The cooking range is CE approved, gas appliances being fitted with gas safety valves and thermocouples whilst electric appliances are thermostatically controlled with overheat safety thermostats. All equipment is finished in Stainless steel. Features: Reinforced 2mm thick worktop - 600mm deep Modular - 350, 700 or 1050mm wide Variation – gas and electric - Oven ranges, boiling tops, Griddles, bratt pans, boiling pans, Fryers, chargrills, pasta boilers, bain maries, Choice of bases - ambient, refrigerated or heated Cleanliness - pressed tops allow easy cleaning whilst products can be "linked together" using a joint strip, which prevents grease dripping between appliances Safety - CE approved and DVGW Certificate. All gas appliances are fitted with safety valves and thermocouples, electric appliances are fitted with thermostat Durability - Stainless steel You need a personalized service – a review of your project – from the layout of your professional kitchen through to the final installation of the materiel?Because each country has its ways and its customs, and/or because you have strict delays, we create and build a project together – a unique project to satisfy your most demanding client. Our project managers work closely with your team (Architect, Interior Designer, Construction Company…) to get the best results. The design plans for the professional kitchen space are completely personalised and adapted to your needs. Our research & design department will find with you, the most appropriate technical solutions. We ensure a turn-key project adapted to your professional kitchen needs whilst maintaining optimal SAVING ENGINEERING. CONTACT OUR SALES OFFICE FOR INFORMATION..
Tecnoinox Tecno70 Modular Cooking Line TECNO70 is ideal for hotel and restaurant kitchens, bars, snack bars, small cafeterias and self-service restaurants.CatalogueTecnoinox Tecno70 is a heavy-duty modular cooking line suitable for Medium Size professional kitchens. The 2mm thick worktop is designed to withstand heavy usage. The Appliances are modular and can be supplied on a range of base options, ambient, refrigerated or heated. The cooking range is CE approved, gas appliances being fitted with gas safety valves and thermocouples whilst electric appliances are thermostatically controlled with overheat safety thermostats. All equipment is finished in Stainless steel. Features: Reinforced 2mm thick worktop - 700mm deep Modular - 350, 700 or 1050mm wide Variation – gas and electric - Oven ranges, boiling tops, Griddles, bratt pans, boiling pans, Fryers, chargrills, pasta boilers, bain maries, Choice of bases - ambient, refrigerated or heated Cleanliness - pressed tops allow easy cleaning whilst products can be "linked together" using a joint strip, which prevents grease dripping between appliances Safety - CE approved and DVGW Certificate. All gas appliances are fitted with safety valves and thermocouples, electric appliances are fitted with thermostat Durability - Stainless steel TECNO70 is the Tecnoinox modular cooking line designed for high professional performance in a compact space You need a personalized service – a review of your project – from the layout of your professional kitchen through to the final installation of the materiel? Because each country has its ways and its customs, and/or because you have strict delays, we create and build a project together – a unique project to satisfy your most demanding client. Our project managers work closely with your team (Architect, Interior Designer, Construction Company…) to get the best results. The design plans for the professional kitchen space are completely personalised and adapted to your needs. Our research & design department will find with you, the most appropriate technical solutions. We ensure a turn-key project adapted to your professional kitchen needs whilst maintaining optimal SAVING ENGINEERING. Please contact our use for more details..
Tecnoinox Tecno90 Modular Cooking LineTecnoinox Tecno90 is a heavy-duty modular cooking line suitable for Large professional kitchens. The 2mm thick worktop is designed to withstand heavy usage. The Appliances are modular and can be supplied on a range of base options, ambient, refrigerated or heated. The cooking range is CE approved, gas appliances being fitted with gas safety valves and thermocouples whilst electric appliances are thermostatically controlled with overheat safety thermostats. All equipment is finished in Stainless steel AISI 304.CatalogueFeatures: Reinforced 2mm thick worktop - 900mm deep Modular - 400, 800 or 1200mm wide Variation – gas and electric - Oven ranges, boiling tops, Griddles, bratt pans, boiling pans, Fryers, chargrills, pasta boilers, bain maries, Choice of bases - ambient, refrigerated or heated Cleanliness - pressed tops allow easy cleaning whilst products can be "linked together" using a joint strip, which prevents grease dripping between appliances Safety - CE approved and DVGW Certificate. All gas appliances are fitted with safety valves and thermocouples, electric appliances are fitted with thermostat Durability - AISI 304 Stainless steelFor the most demanding professional chefs, Tecno90 is designed with maximum attention to every detail in terms of functionality, aesthetics and safety You need a personalized service – a review of your project – from the layout of your professional kitchen through to the final installation of the materiel? Because each country has its ways and its customs, and/or because you have strict delays, we create and build a project together – a unique project to satisfy your most demanding client. Our project managers work closely with your team (Architect, Interior Designer, Construction Company…) to get the best results. The design plans for the professional kitchen space are completely personalised and adapted to your needs. Our research & design department will find with you, the most appropriate technical solutions. We ensure a turn-key project adapted to your professional kitchen needs whilst maintaining optimal SAVING ENGINEERING. CONTACT OUR SALES OFFICE FOR INFORMATION..
Chinese Cooking Range & Wok Cooker ''Dragone Line''The world of Oriental catering equipment finds the maximum satisfaction and Made in Italy expression in this series. Dragone line, is the meeting point between Orient and Occident, giving life to a strong, dynamic and multi-ethnic professional kitchen with high performances.You need a personalized service – a review of your project – from the layout of your professional kitchen through to the final installation of the materiel?Because each country has its ways and its customs, and/or because you have strict delays, we create and build a project together – a unique project to satisfy your most demanding client. Our project managers work closely with your team (Architect, Interior Designer, Construction Company…) to get the best results. The design plans for the professional kitchen space are completely personalised and adapted to your needs. Our research & design department will find with you, the most appropriate technical solutions. We ensure a turn-key project adapted to your professional kitchen needs whilst maintaining optimal SAVING ENGINEERING. CONTACT OUR SALES OFFICE FOR INFORMATION.. Seafood Cooking Ranges ''Marine LINE''Special line completely dedicated to marine equipment with specialist features designed for for installation in to vessels and offshore platforms. 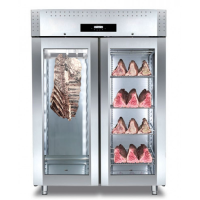 Rolling racks in all cooking systems, flanged feet for floor fixings are some of the peculiarities of the Marine line designed with particular attention to robustness, safety and adaptability. You need a personalized service – a review of your project – from the layout of your professional kitchen through to the final installation of the materiel?Because each country has its ways and its customs, and/or because you have strict delays, we create and build a project together – a unique project to satisfy your most demanding client. Our project managers work closely with your team (Architect, Interior Designer, Construction Company…) to get the best results. The design plans for the professional kitchen space are completely personalised and adapted to your needs. Our research & design department will find with you, the most appropriate technical solutions. We ensure a turn-key project adapted to your professional kitchen needs whilst maintaining optimal SAVING ENGINEERING. CONTACT OUR SALES OFFICE FOR INFORMATION..